Cost of tattoo removal in Kentucky just became more affordable at Take It Off Laser Tattoo Removal in Louisville, Kentucky. The company is now offering financing and discounts on packages. Louisville, KY- Take It Of laser tattoo removal, the popular clinic located in Louisville just off of Lake Point Way is excited to announce they are one of the only clinics in the area offering financing as a payment option for their tattoo removal clients. 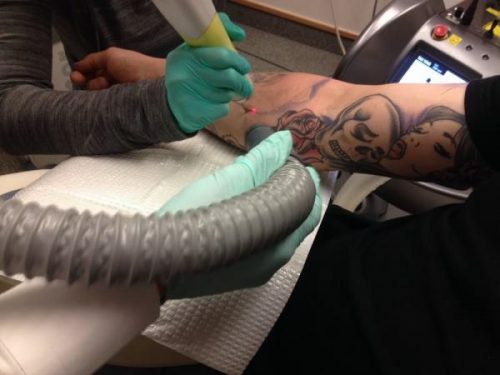 The popular laser clinic in Louisville is already the go-to destination for folks seeking to rid themselves of their unwanted ink, and the company believes the new financing option will take their business to the next level. The company says they also offer discounts for packages paid in advance, which is definitely another perk of the financing option, it can actually save folks money in the long run.